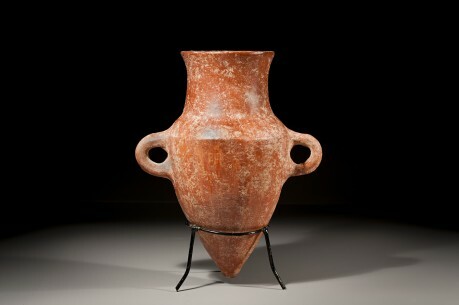 CivilizationIron Age II B, 900 B.C.E. - 800 B.C.E. 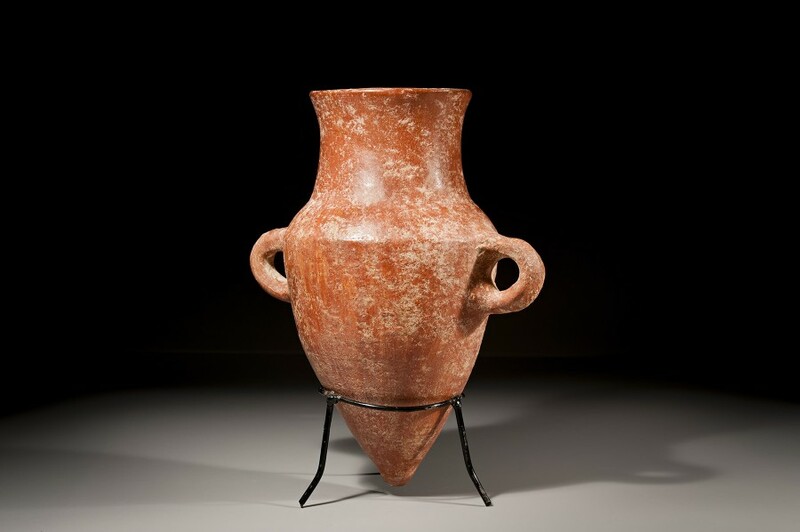 Amphoriskos are shortened versions of the classic amphora, jars with two handles located on either side of the neck. This particular piece is about 19.5 cm in height, not large by traditional standards, yet still smaller than the massive amphora meant for storing water in the arid climate of the ancient Levant. This beautiful red slip amphoriskos comes from the ancient Israeli city of Samaria, located just west of the Jordan River. Dating from approximately 900 B.C.E. – 800 B.C.E., this piece was made well before the Roman occupation of the region that eventually led to the first Great Jewish revolt.